Welcome to Promenade Champions Forest. We have an optimized screen reader version of this site available. The Promenade Champions Forest Apartments offers every luxury, activity, and convenience at your fingertips. 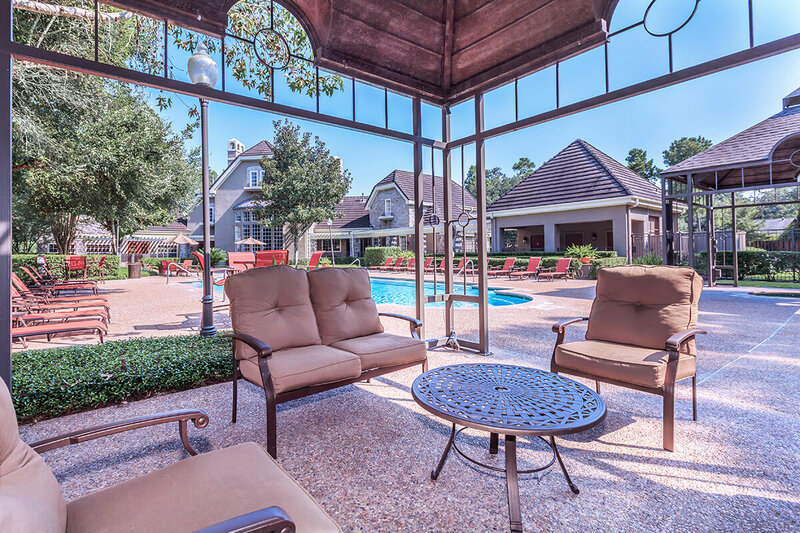 We are located in a well-kept Houston, Texas neighborhood and we are just minutes from shopping, dining, schools, and major highways. Our residents are afforded all the comforts of home in a pristine setting, accented by an uncompromising level of service. 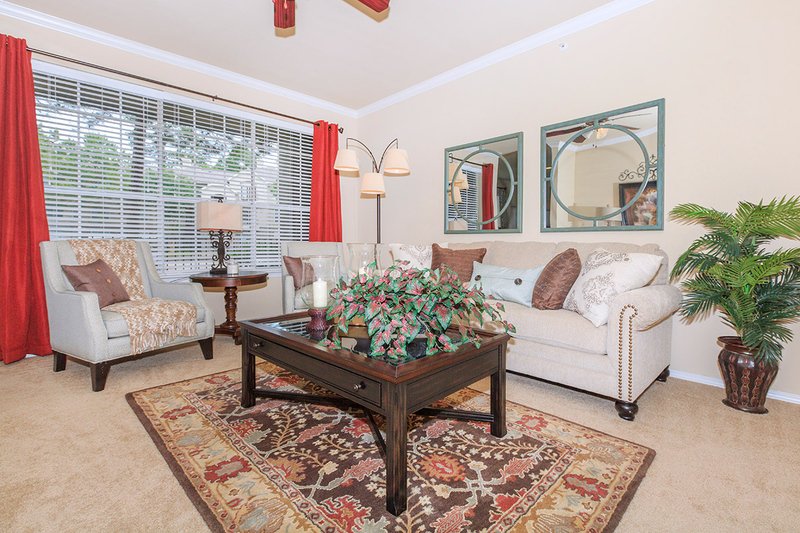 Make the choice from one of our newly renovated floor plans. With stunning contemporary interiors and distinctively appealing features, there's something for everyone! Features include a fully-equipped gourmet kitchen with granite countertops, stainless steel appliances, designer two-tone paint, oversized living areas, built-in bookshelves, crown molding, walk-in closets, plush carpeting, ceiling fans, alarm, washer and dryer connections, air conditioning, and a personal backyard or balcony. Select homes feature an oversized garden tub, cozy fireplace, vaulted ceilings, hardwood floors, and views. Come home to the life you deserve. Our two tranquil resort-style swimming pools with spa and sun deck, 24-Hour fitness center, business center with Wi-Fi, community room with game room, lighted tennis court, basketball court, sand volleyball, bark park, hiking and biking trails, playground, attached and detached garages, and limited access gates, promises to give our residents a truly resort-quality lifestyle. Pets are welcome so bring the whole family! Schedule your personal tour today and discover how The Promenade Champions Forest redefines the meaning of apartment living.